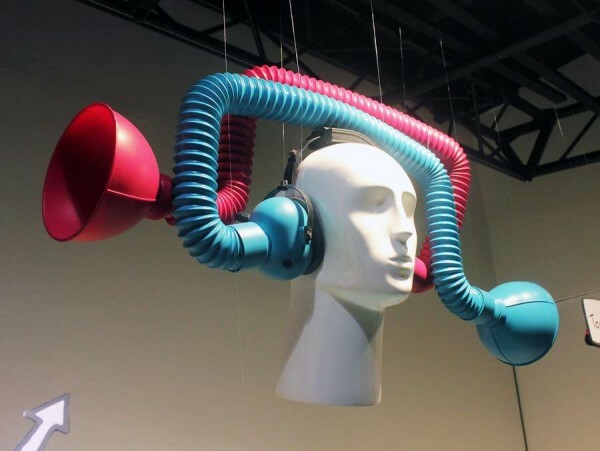 Dominic Wilcox’s Reverse Listening Device « Adafruit Industries – Makers, hackers, artists, designers and engineers! Here’s my second object for my Selfridges window at the Festival of Imagination. I thought to myself ‘what would it sound like if I could hear the things that happened on my left side through my right ear?’ So I decided to make this Reverse Listening Device, and it actually works. It sounds very strange and I now will wear it at all times.